Kind of a late post today, but you know… Life happens. I wanted to quickly get this recipe on today, since it feels like forever since we did the “What Dessert Would You Like To See Next” vote. And obviously this dessert won out of the 5. I’m still going to have to make the others, but this one had to come first, and I’m super excited it did. I’ve been eyeballing this forever it seems. A couple of things that will just send this dessert over the top though. First, for the cake portion. 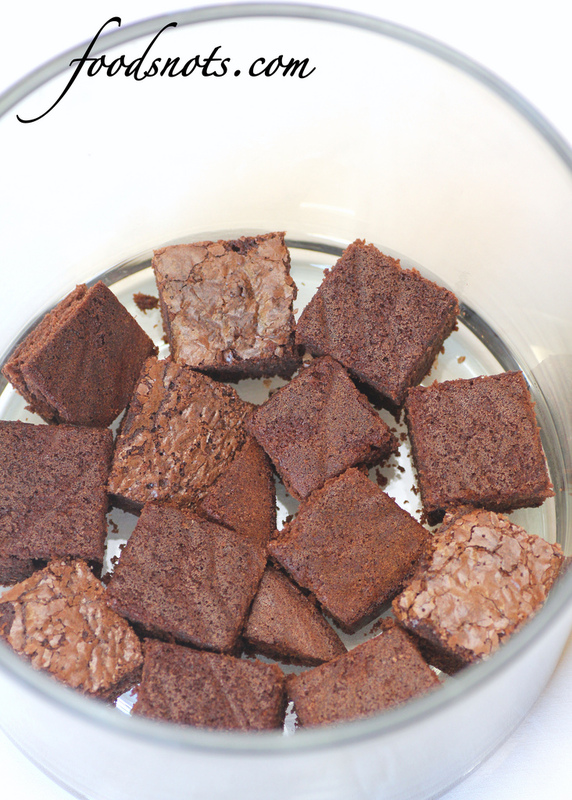 I used brownie mix, but on most brownie mixes it will say “Fudge Style Brownies” or “Cake Style Brownies”. I did the cake style (which, basically all you do is add 3 eggs instead of two). This way, they aren’t super heavy, but you still get all that extra flavor. Also, you know how when you make something there are some things you can go cheap on and others that you absolutely need to fork out the money for. Well this is like this, except with your work effort. For the whip cream, brownie/cake, toffee bits. Absolutely. Really your not going to notice the difference if you get them store bought, but where you need to put in the elbow grease is in the caramel! It’s an absolute necessity!! The caramel is what makes or brakes the dish. So, I am making you all swear, by penalty of death (or severe disappointment), that you must make this “caramel sauce”. It is not that hard, and it will absolutely make this dessert out of this world, and it merges together the toffee taste into the trifle better. Please please please!!! Just trust me. I had to add this picture too. Here’s how it is in my house!! Anything I leave for two seconds is vulnerable. I can’t tell you how many times I have gone into my baking closet to grab something, everything will be all staged and ready to photograph, and I either have one of my three little ones chowing down, or my hubby sneaking a taste. Greatest compliment in the world, but SO frustrating!! Prepare and bake cake according to package directions for an 8 inch square baking pan. Cool on a wire rack. Prepare pudding according to package directions. Place half of the cubes in a 3-qt. trifle bowl or large glass serving bowl; lightly press down to fill in gaps. Top with half of the whipped topping and pudding. 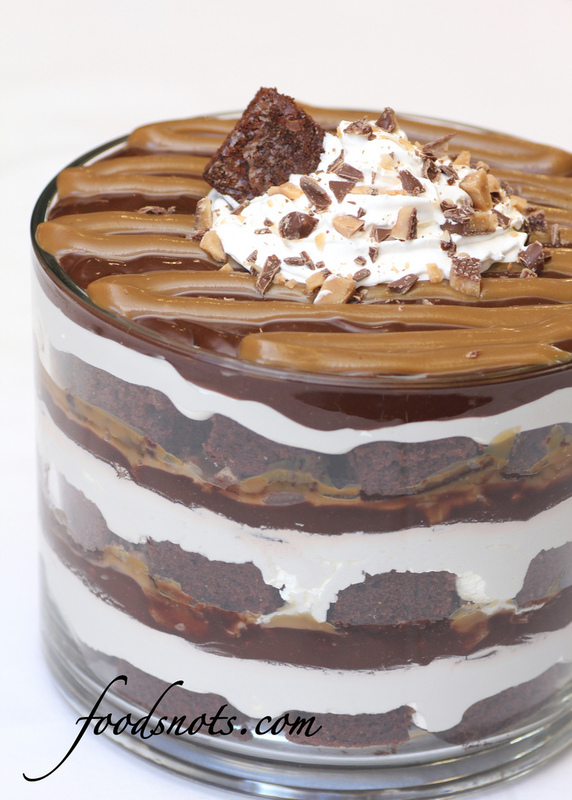 If you are using a toffee candy bars, chop up. And sprinkle a generous amount over caramel/pudding layers. Cover and refrigerate until serving. Yield: 16 servings.